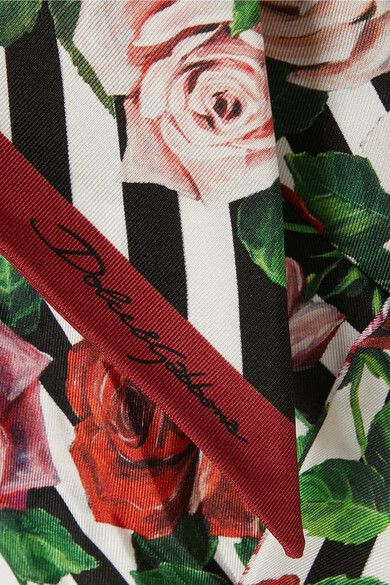 Dolce & Gabbana's scarf is made from silk-twill and patterned with the house's signature roses that look even more striking against the graphic striped backdrop. 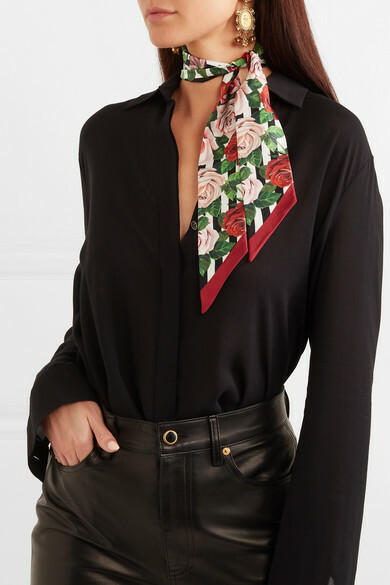 Wear it as a headband, neckerchief or looped through the handles of your favorite tote. Shown here with: The Row Blouse, Khaite Pants, Dolce & Gabbana Earrings.